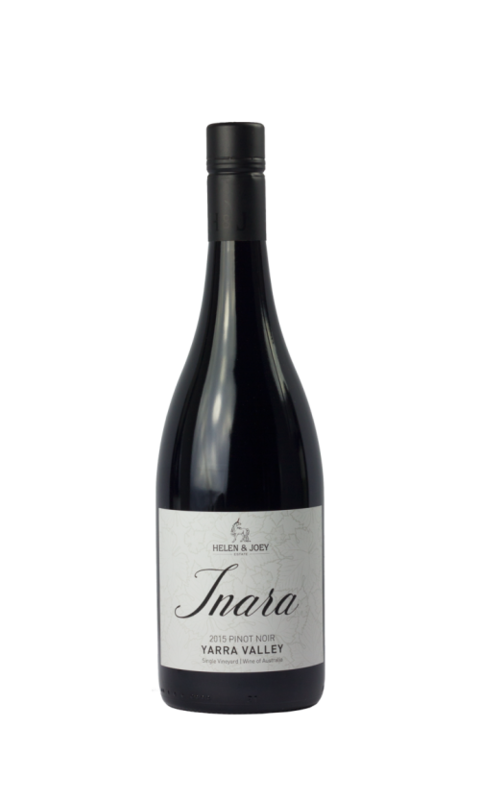 This is TarraWarra's first Barbera release. It comes as a result of an under performing Pinot vineyard planted in 1989, K Block, where 50% was grafted over to the now highly consistent K Block Merlot in 2006. 25% of the remaining vineyard was grafted over to Nebbiolo in 2012 and the other 25% to this Barbera. A good first up release with plenty of potential for future releases, that's for sure. It carries varietal presence although I felt it sits a little lean mid-palate. Bright and crunchy acidity stands tall and continued to hold its head high on the second day of tasting. Tomato based dishes and pizza would eat this up. 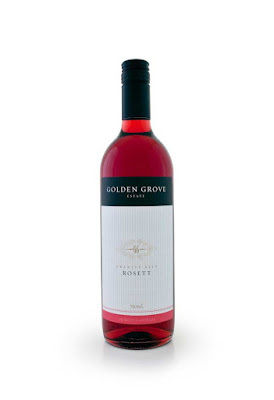 Lots of yum and fun factor about this Golden Grove Rosé. Made from Shiraz and Sangiovese fruit, a small portion of barrel fermentation was used to fill out the mid-palate. It smells of cranberry juice and strawberries. There's a faint whiff of pepper from the Shiraz too. Lots of red berries to taste. A dash of sweetness is overrun quickly by the long and dry finish. A wine which is just easy drinking without any fuss. Well priced too. Picnics, barbeques and sunshine would all eat this up. This Leconfield Merlot is an enjoyable wine to kick back with. Sure it doesn't exude stylish pizazz but it does deliver comfort. A fraction on the heavier side of medium bodied, dense plummy fruit run riot. Delivery is soft and uncomplicated giving off soothing vibes. Nutmeg keeps hounding each time I take a whiff. Merlot is a variety often lambasted for be boring but this offers drinking pleasure and is worth a look. Cellar up to ten years. Deliberately held back, this aged released Semillon is showing some of the characters synonymous with the variety when it sees some time in the bottle. Whilst the toast and honey start to show their hand, the citrusy fruit is lean in the delivery, only to be carried through by brutish phenolics. There's a tartness to the acidity too before an oily finish. This will certainly age well beyond a decade and still sits outside its optimal drinking window. I popped in to Usher's new cellar and salumi on McDonald's Road recently. It's one of those must visit places in the Hunter Valley - there is certainly nothing like it. My only problem at the time was we arrived at 4:45pm just before close. Yep, that long lunch went on and on but Ebony, Usher's wife, was only but too kind to quickly put together a take home kit of Chardonnay, Shiraz and some cured meats for us. Do yourself a favour and take some time and hang out there though - very cool and oozes comfort and style. To the wine... I know nothing about the history, vineyard or making of this wine - only from what I experienced when tasting, rather, drinking it by the fire later that evening. Smart presentation - wax seal, super heavy bottle, trendy label too. This spent a little too much time in the freezer as we tried to chill it down quickly. It certainly needs to be served at the right temperature. We were just thirsty. Minerally with an oak hit, white peach runs through the core. Not overly deep nor rich but there is a persistent and long finish. There is a moreish factor about it. The longer it sat in the glass the more it grew on me. I enjoyed a couple of glasses but there are other $50 Chards I'd lean to given the choice. Will cellar for eight top ten years. Clean and crisp, lemon sherbet and lemon grass with a citrus drive. It's textured too due to a small portion seeing barrel fermentation. Settle in with poached pear and a sprinkle of cinnamon like spice which lingers. The creamy delivery is engaging and adds another layer of complexity. Well balanced acidity will cut through something fatty like fish 'n' chips - yes please! Dans les Bois translates to 'in the woods' referring to bushland at the base of this vineyard site. Austere, some minerality, nutty, butter cream. The wine spent ten months on lees in French oak (30% new). Some malo peeks through. The generous delivery and beautiful balance cannot be denied. Finishing with great length and persistence, I'd happily go back time and time again. Will cellar eight to ten years but drinking well now. Stewed apples, fennel seeds, honey mead, honeycomb. Quite rich, the warmer it gets in the glass the more it gives off some fortified Verdelho traits. That warmth is wrapped up by an exotic spice rub of sorts leading to a long finish. An interesting wine but not one I could drink a lot of. Bursting with freshness, the use of barrel fermentation for a small portion has added some extra interest. The previous 2015 vintage was cleaned up by hail. 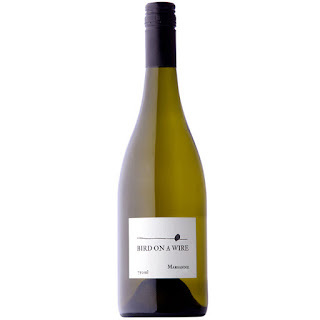 Some fruit was salvaged but the Sauvignon Blanc component was sourced from the Adelaide Hills. This 2016 is back to 100% estate grown Granite Belt fruit. Grassy, gooseberry, real lemonade, honeydew melon, snow peas and lemons. Dry to taste, some good weight due to the barrel work which delivers a drawn out finish with a bright and crunchy acidity. Clever. Winemaker Ray Costanzo has found his niche using some barrel work with his whites - and to great effect too. Grab some seafood with a glass or two of this and satisfaction will come your way. This smells of a good Cabernet but the delivery doesn't follow through. 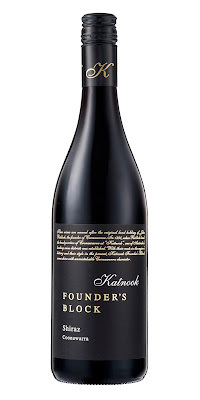 I'd take the Founder's Block Shiraz over this particularly as they are at the same price point. Sure there is plummy and dark fruits, some leafy characters and cassis for good measure, but it comes across dusty without the depth or balance I'd like. In the end, a fair enough drink but maybe I'm just being picky. Here's a Sauvignon Blanc that I enjoyed drinking! I know - it doesn't happen all that often so it's worth getting excited about. Some barrel work never hurt anyone and winemaker Luke Tocaciu has used it well. There's little Sauvignon Blanc coming out of Coonawarra - less than 1% actually. This Sauv was barrel fermented and left on lees in old French oak puncheons. Whilst some of the tropical fruit nuances of the variety are still present, they sit behind the delicate creamy and textural delivery courtesy of the barrel work. Mouthfilling and long to finish, I was happy to keep going back for more. Great buying for the money too. Drink over the next few years with creamy pasta dishes. A good enough Cabernet but given the choice I'd head to the Shiraz. It just comes across with more polish. This Cabernet delivers varietal character but is quite linear. The wine spent 22 months in oak and presents mint and black fruits but they just don't seem to hit the perimeter. Comparing it with Cabernets at the same price point, this has a way to go mind you. Still, it offers some satisfaction. Here's a little surprise packet from the Hunter. Grenache and Nebbiolo are certainly not common in the region, and whilst more Barbera is being put in the dirt, the chances of seeing such a blend is minimal. But hey, this works! The fruit here is a field blend and co-fermented which is another bold move - kudos for creativity. Plum compote, briar, handbag leather, prunes, a gentle spice rub finished off with dusty tannins. All I can think about is a long lunch with tapas and chunks of meat. Drink now for the next eight years. It's incredibly rare to see winemakers from the more renowned regions source fruit from Queensland's Granite Belt. Having seen plenty of Granite Belt wines personally, I was both pleased and intrigued to see what winemaker Daniel Binet dished up with this. 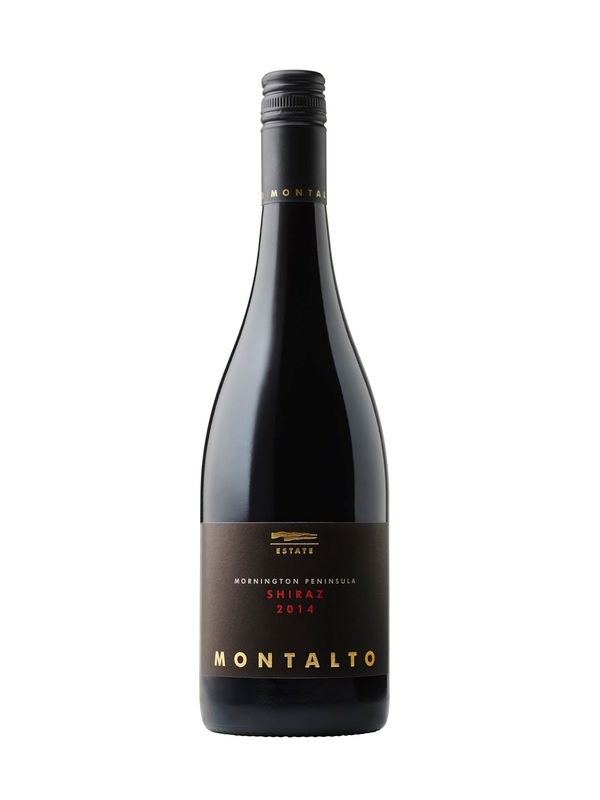 Sourced from Jester Hill's vineyard which has an elevation of approximately 850 metres just outside Ballandean, this is very much a typical Granite Belt Shiraz. Granite and minerally aromas synonymous with the region peer through flanked by red berries, dark plums and lots of savoury appeal - specifically nutmeg, pepper and a hint of dark chocolate. Engaging spice chips away with a gentle humility. The finish is soft, long and satisfying. Will age long term but decant before serving if drinking now just to give it a breath of air. I do like a Pinot Grigio with some colour and personality and this example ticks those boxes. Onion skin in appearance, aromas of peach skin plus hint of apricot marmalade creeps in. Crisp, the expected pear bobs up. 20% was barrel fermented and sat in old oak for seven months, the remainder in stainless steel. The result is a wine with texture and plenty of good times appeal. I could polish off a few glasses with ease. A textural Semillon thanks to time on lees and in barrel. Delivery is tight driven by lemons and lemon pith. The acid profile leans towards a wine which will age gracefully. Some waxy and toast characters are starting to present themselves but the fruit still drives the bus for now. The cellar door currently is running a special: 6 for $50 - a pretty handy deal. After tasting several Cabernets this is the one I kept coming back to. There's a energetic vibe to it which I found quite appealing. It's soft, generous and dangerously moreish. The depth of fruit is engaging yet you aren't clobbered over the head by alcohol (13.8%). Matured in French and American oak for 28 months, cedar and cigar box characters have been imparted. Mulberry and dense black fruits saturate the palate with a finish which seems to last for eternity. Drinking well now and will cellar for the long term easy. No complaints here - quality drinking for 25 bucks. Deliciously medium bodied, red fruits, char, peppery spice kicking on through. A lick of raspberry becomes more apparent with more time in the glass. Oak plays its hand, 30% of which was new French, sitting there for 22 months prior to bottling. Whilst the acid is faintly noticeable, the fruit delivered fills out well enough to hold its own. Long to finish with soft tannins, a long week at the office could make easy work of this. You can see why people are warming to cool climate Shiraz - an attractive number here. Black pepper synonymous with the vineyard saunters through with a casual style. Red fruits, cherry cola, pan juices, some char with voluptuous tannins hanging long. Nicely weighted, there's a persistence which keeps eating away at you. I'd have a couple of glasses with a steak, yes please. Dense, rich, generous - you won't walk away wondering. This wine spent 18 months in French and American oak, 15% of which was new French. Coffee and cedar oak aromas straight up before a landslide of blackberry fruit, black plums, raspberries, a chip or two of dark chocolate plus lashings of pepper. The mid palate is a landing pad of riches. Nicely layered, more time in the glass keeps peeling back another level. Looks can be deceiving too - this only weighs in at 13.5%. An impressive Shiraz outta Cabernet country. Drink now or will cellar long term. First made in 2008, the vines used here were planted in 2003. Up until recently the Tranter was the flagship for Tellurian. New to the range now are the Block 3 TLR and Block 3 SR with the three now sharing the dias. Previously all fruit from the Short Rows and Top of the Long Rows contributed to the Tranter - now it's only 70%. Quite a polished Shiraz, it hits and sticks to the mid palate. The longer it sits in the glass the more it unfurls delivering dense red fruits. Plenty of savoury appeal is tossed up too with the soils adding a flinty edge. The acidity is brighter here compared to the TLR and SR.
A great example of Heathcote Shiraz and represents top value for the $39 asking price. Creamy, textural, delicious and then some. Fermented and aged in old oak, this is class. Spiced and poached pear, honeysuckle, apple strudel, a shake of spice and a ever slight limey citrusy twang. I keep coming back to the mouthfilling creaminess though, it's quite alluring. Well balanced with buckets of easy drinking appeal - another glass please! Dark berries, cigar box, black currant. Not overly deep but there's enough fruit to keep you interested. I tasted this over three days and it held its form well over that period. Dusty and juicy tannins lead to a long finish. A lamb lollipop with a glass of this would go hand in hand. A good mid-week drop to ease your work day blues. Not overly generous or deep, it just ticks away with good varietal character and delivery. Red berries, canned plums, a black berry nip, softish black pepper runs through the core, a dab of fruit sweetness and a long drying length. Not bad at all and priced about right too. 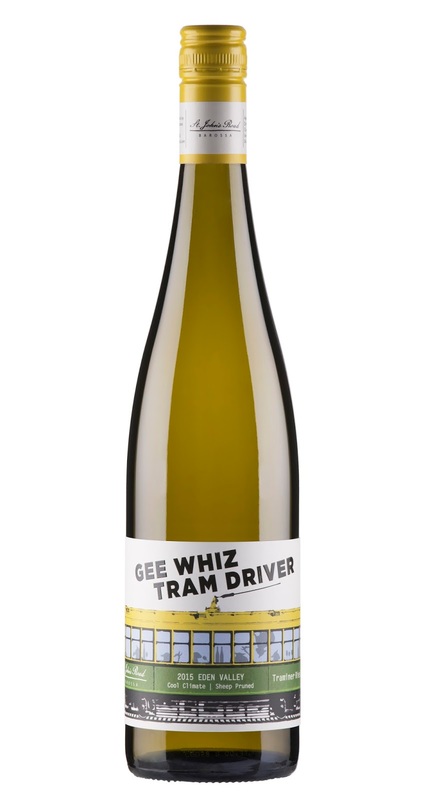 I learnt something new today - Gee Whiz Tram Driver is Barossan slang for Gewürztraminer. There you go. An interesting wine for varying reasons, one of them being that the vines are 'sheep pruned' to keep with the minimal intervention approach. 15% Riesling was also blended in. To the wine: pretty aromas of rose water, Turkish Delight, purple and white flowers, musk, a touch of honey too. Long days need wines like these. It's crisp, fresh and very moreish with a slatey edge. That musk and rose water really kick through here to a long finish. It's dry and it's bloody tasty. I'd have a couple of glasses easy... And I did. Coonawarra is not all Cabernet, and although Riesling makes up only 1% of its overall production, there are some delicious examples out there. This effort from Patrick shows limes, lime pith and white flowers. Clean and crisp, the delivery throws up chalky and steely characters with a lick of sweetness. There's enough acid to knock it into shape too and aging potential is certainly within its grasp. Give me a glass with some fresh seafood. This wine is SO wrong but damn it is so right. It's the most confronting wine I have tasted for a long time. Will it create a stir in some circles? Yes siree! I posted a photo of the wine on Instagram and I was immediately contacted by a winemaker, who in his own right is creative and open minded, stating he would refuse to go anywhere near it. "Do you know what Brett is?" he asked. Whether the issue here is that the wine was made with the three devils of the industry or whether such elements shouldn't be embraced, the end result is captivating and worth a look. The fruit comes off a vineyard riddled with Phylloxera. Usually this vineyard is poor performing as a result, but in 2015, winemaker Tim Shand says this vineyard was one of his best and two tonnes were picked. Half that amount was fermented with Brettanomyces in what Shand says was his cleanest and most aromatic ferment for the vintage. Lastly, 60 bunches of fruit from the Phylloxera vineyard were hot smoked for 45 minutes in a metal bin with old oak used as fuel. The bunches were then pressed and fermented in a demijohn and added judiciously at blending. The final wine was a 50/50 whole bunch and whole berries without fining or filtration. Step away from the faults of the wine and sitting proudly are clove, dark cherry, twigs, forest floor aromas. The smoke and Brett which were used as part of the trial are present but those who don't know the difference wouldn't bat an eye lid. Those fabric band-aids and barn yard aromas, as they are affectionately described, sure do have a presence. The soft fruit delivered is luscious and generous. There's a spice to the finish whilst the smoke can't be missed and adds a dash of warmth. Throw out the play book and kick back to a wine with a seductive thing happening here. I found it hard to resist the urge to keep going back for a top up I must admit. Made for and sold exclusively at Black Hearts and Sparrows in Melbourne. I recently caught up with Daniel Hopkins, GM of Tellurian Wines, when he was in town recently for Game of Rhones. Daniel was excited to show me his new release wines, and he had every reason to be I must admit. There's been some reshaping and rethinking going on at Tellurian, so much so that particular parcels that previously contributed to the flagship Tranter Shiraz have now been isolated to stand on their own two feet - the quality is there so why not. After looking at the three top dogs, this Block 3 SR, Block 3 TLR and the Trantor, some words came out of my mouth which some producers don't want to hear - too cheap. For 39 bucks each, this is seriously good going. Pour, give a good breath of air and away you go. Such an easy drinking wine - that's the Yelland & Papps way really. 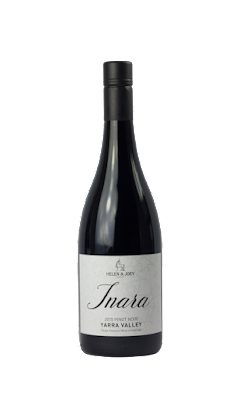 A blend of Grenache, Mataro and Carignan (74/17/9), open your arms to dark berries, some fruit sweetness, plums, and flanked by savoury herbs and five spice. Dig further to reveal barbequed meats, briar, dried rose petals, mulberries on the mid palate and a squeeze of blueberry. A delish length kicks in with serious hang time. Only 50 cases were made of this wine, named Block 3 SR after the short rows at the bottom of the hill where this single vineyard sits. It's here the soil depth is thinner than the top of the hill. The fruit produced from these short row vines display a distinct difference to those at the top of the long row. Seventeen months was spent in barrel, 50% of which was new French oak. Lots of savoury appeal - think aromas of dried rose petals, Mediterranean herbs, black olive, supple red fruits and baking spices. Fruit is the boss in the mouth though. It's nicely rounded, generous and flinty, long and soothing. The longer it sat in the glass the denser it seemed to get. Long term cellaring is in the bag. Smart wine - did I say too cheap? This is Angullong's new flagship wine - only two hundred dozen were produced. Aged for twelve months in French oak, it spent another eighteen months in bottle prior to release. Beautifully fragrant - cherry vodka, red berries, macerated black cherries, cedar and dried herbs. Fine pepper, brightish acid sits proud, this is built for the long haul. More time in the glass helped this find its mojo. Plums and plentiful graceful fruit nestled in, this is on the road to satisfaction town. Give it a year or two before getting stuck in. Time will be your friend here, a long term aging prospect without doubt. Load the gun and fire the shots with this deliciously inexpensive Grenache Shiraz Mourvèdre (61/20/19) blend. Matured in second and third use French oak for nine months prior to bottling, there's a freshness and youthful vibe humming along here. Red flower perfume, baked raspberries and mulberries. There's a gentle black pepper and five spice tease easing into plentiful juicy black and blue fruits. Some charred oak carries meaty/pan juices on its back. Soft, leading to a long and satisfying finish, pass another glass please. You'll be able to hunt it down for under twenty bucks which throws it right into bargain territory. Creamy, pears with a wash of apple and a honeysuckle lift. Textural appeal thanks to soaking on skins for four days whilst another component was whole bunch pressed. The mouth is coated generously with white peaches shining late. The longer this sat in the glass the more it grew on me. Long to finish, I'd happily have a glass or two. Generous delivery here. A blend of Viognier and Arneis (95/5), this is my preferred of the four Nobles but there's not a great deal of interest in the range to compete with mind you. Orange marmalade, apricots, honey - good depth and width. It has a slowly slowly feel about it with no element surging ahead of the others. Of the four, I'd part with $20 for this. A blend of Chardonnay, Semillon and Viognier (60/30/10), aromas of frangipani, marigold flower, candied orange mandarin and honeyed tones spill from the glass. There's a touch of spice, but the sweetness and citrusy acid didn't quite mesh for me. A hole in the mid palate was apparent too. Not bad but I'd lean towards the Mud Pie. On the sweeter side but has more acidity than it's siblings. That acid is certainly saliva sapping. Aromas of green apple, a touch of spice with an attractive yellow floral perfume. I'd like to see this with some time under the belt. Not bad going in the end. 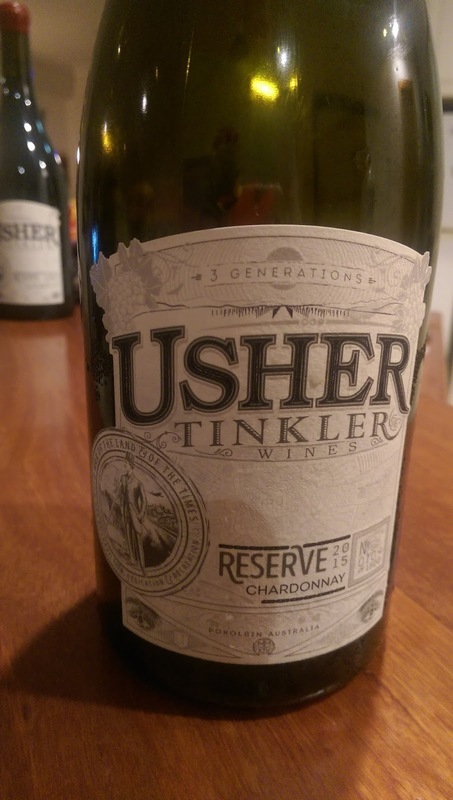 A blend of Semillon and Sauvignon Blanc (95/5) highlighted by apricots, canned peach nectar and sweet orange candy. It's thick and syrupy to taste but holy fuckeliana it's sweet. Too sweet. I know some people who could drink this by the gallon but I struggled getting through a taste. You don't have to spend a lot of money to drink well, here's yet another example. From the Tatiara District which sits half way (Mezzo) between Adelaide and Melbourne, the vineyard was planted in 1988. It's directly north of Coonawarra, no more than a 90 minute drive. Dripping in juicy dark and blue fruits, this comes off a single vineyard site. Eucalypt, dark chocolate with dab of fruit sweetness. Oceans of depth, soft and long, a top value Shiraz without question. Drink now or in the medium term. Red berries and red flowers hog the limelight here. Take another whiff and mandarin peel, red apple skin and cherries step in. A blend of Merlot and Cabernet fruit (86/14), it's bone dry and cleansing. The fruit fills the mouth leaving a sapping, textural grip in its wake. Lots of barbeque appeal here. Massive chug factor here. Sunshine and long lunches here we go. Mind you, I had a couple of glasses of this with winemaker Sam Wigan to kick start dinner and the bowl of fries we shared matched ideally too. Fresh, savoury and bone dry, it hits and sticks to the middle palate. Textural, pink grapefruit and white raspberry flavours scatter about. There's a mild creaminess too which I liken to one of those white chocolate and raspberry ice creams I've had. Yum! Super low acidity, chill it down hard and pour generously. Every whiff and taste peels off something new. 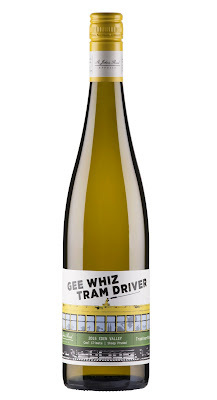 Aromas of lemon juice and zest, green apples, scrumpy/cider like, butterscotch and jersey caramel too. Add a dollop of creaminess, a result of barrel fermentation in French oak (29% new) for three weeks and then relaxing for another 8 months prior to bottling. Plentiful, generous and crisp, lemony to taste first up. Almond meal and poached pear continue to add layers of interest. Citrusy type acid will see this live for many years yet. Seriously delish! I'd happily share a bottle with anyone, any time. From Bool Lagoon which sits half way (Mezzo) between Adelaide and Melbourne, the vineyard was planted in 1988. It's north west of Coonawarra and west of Wrattonbully to be exact. Dark berry and black fruits, not as vibrant as I would have thought. 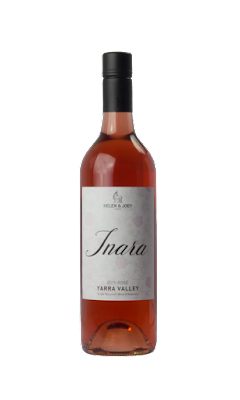 Savoury aromas take charge - dried Mediterranean herbs, eucalypt and unforced oak sits like a guide on the side. Full delivery, the mouth is coated well. Canned plums step up here. Dusty type tannins on a long finish. I'd have glass with pizza or tapas.